Jerobee - Vintage Rc Car! 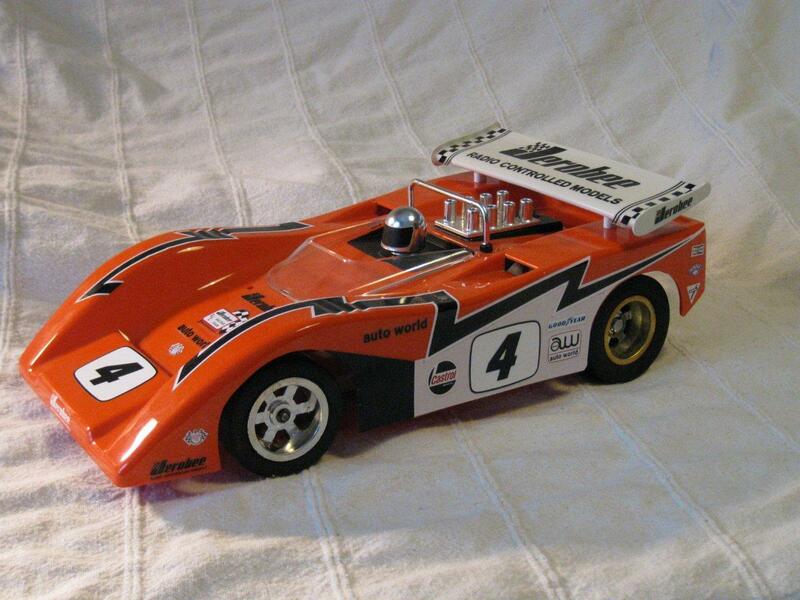 I am interested in the vintage RC car brand Jerobee, made in the good old USA. I seek contact with other Jerobee owners, so we could share information, spares and others. Any leads to cars, spares, spare parts lists and others are appreciated. I bought my first RC car way back in 1973, and it was a Jerobee. I enclose a picture of the one I have built today, mostly by parts from Ebay. Here is a little blog with some info and pictures of the Jerobee cars. Some new photos on the blog. I have now driven the Jerobee car that I have built out of parts bought on Ebay and others. Yes, it is a very nice car with good quality. It was the first production 1:12 gas and you could buy them RTR way back in 1973! The Jerobee blog has been updated with some pictures/material from the early 70`s. If you know of any Jerobee owners, please make them contact me. I have a Jerobee and it was my first on road RC car. Mine was a nitro car converted to electric, Not a bad chassis but I really loved the Greenwood Corvette body and have a few of Greenwood bodies still. Atsugi, Japan, sounds like Kyosho home ground! Do you have any pictures of your Jerobee that you could email me? Atsugi is Kyosho country but I American so Jerobee is what i had first. I can take pictures of the chassis later and send them your way. Have you allready got the pictures off the old Jerobee website? You can use the wayback machine if you havent. Sounds great, you have a PM. Ps: Some new stuff on the Jerobee blog. The idea is to start a "Jerobee Group", in order to share ideas, spare parts and others. I have done some updates on the blog after running the Jerobee again. Some new stuff on the Jerobee blogg! Hi Jorgen. Saw your blog on the Jerobee cars. I have an original car-orange, looks like a Chapperal that is new in the original box, wrapped in bubble wrap and has never been on the ground or started. It has no electrics with it but is absolutely MINT. If someone is interested I may sell it depending on the offer. I live in Canada but could ship it at the buyers expense. Great history on your site--well done my friend. You can contact me at billshorney@rogers.com. Cheers Bill. The blog is now updated with the latest addition to my little collection. The Jerobee is NIB and I bought it from Bill in the post above. Some new pictures on the Jerobee blog.